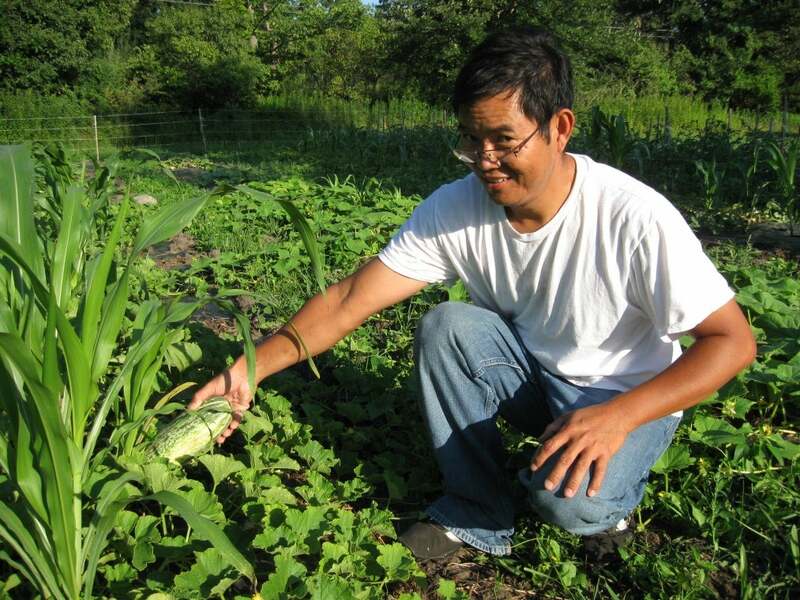 Unlike many of the New Entry farmers who grew up in agrarian countries, Oen Oung was not a farmer before he moved to Massachusetts. Growing up in Phnom Penh, Cambodia, Oen earned a degree in education and taught algebra and geometry to high school students. Since moving to the U.S., Oen has worked in electronics, furniture assembly, shipping and receiving, and as a painter. His real passion is farming, and like many New Entry farmers he would eventually like to farm full time. His family thinks his decision to pursue farming rather than continuing with education is odd, but he is very happy to be able to grow fresh produce for his community, and when you see Oen in his fields it's not hard to tell that he's in his element. After completing the Farm Business Planning Course, Oen originally farmed at New Entry's incubator training sites in Dracut, Mass. In 2011, Oen was matched through our Farmland Matching Program with a farm site in Boxborough. In 2012, Oen moved to a different plot of land in North Andover, also found through the help of New Entry's Farmland Matching Coordinator, farming half of the tillable land available. In 2013 fellow New Entry farmers Kosall and Noeuth Deth began farming the other half of the North Andover site.